When someone enriches your life for the better, tell them so with this funny Valentine's Day Card. Our cards are made using only the best quality board. 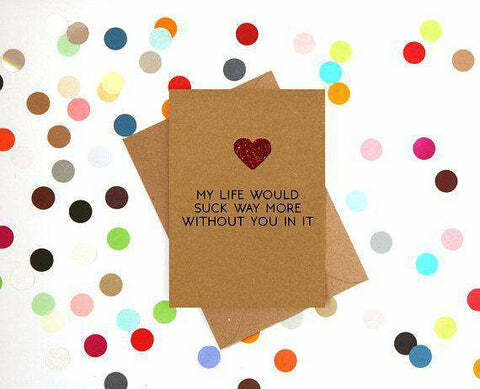 This Funny Valentine’s Day Card is printed on luxury 350gsm Kraft board with this unique design. Our cards are A6 size when folded. This card is hand embellished with a red glitter heart.